Set in an Area of Outstanding Natural Beauty, our brief was to build a new family home sensitive to the beautiful landscape that surrounds it. 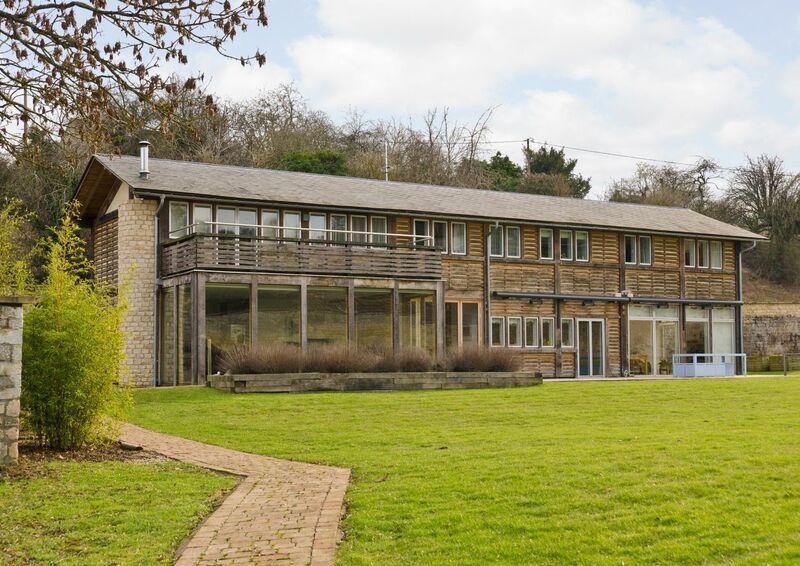 An unremarkable chalet style house built in the 1970’s Orchard House was set within a large walled garden originally as a kitchen garden for a nearby manor house. The site falls within the Bath Green Belt and the South Cotswold Area of Outstanding Natural Beauty and is situated beyond the settlement limits of its village, adjoining a Conservation area. We were asked to create a contemporary new family home that sat gently within this sensitive landscape. Using natural materials from sustainable sources, we used a green oak frame, clad with riven oak laths and self-coloured lime render. 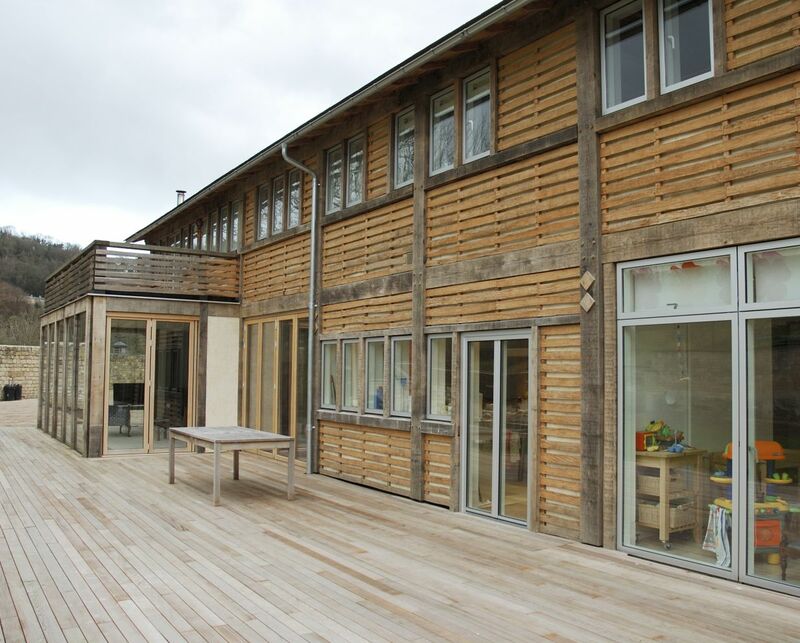 One of our principal criteria for selecting these external materials was that they were naturally durable and would weather gracefully, thus eliminating the need for maintenance using paints and stains. 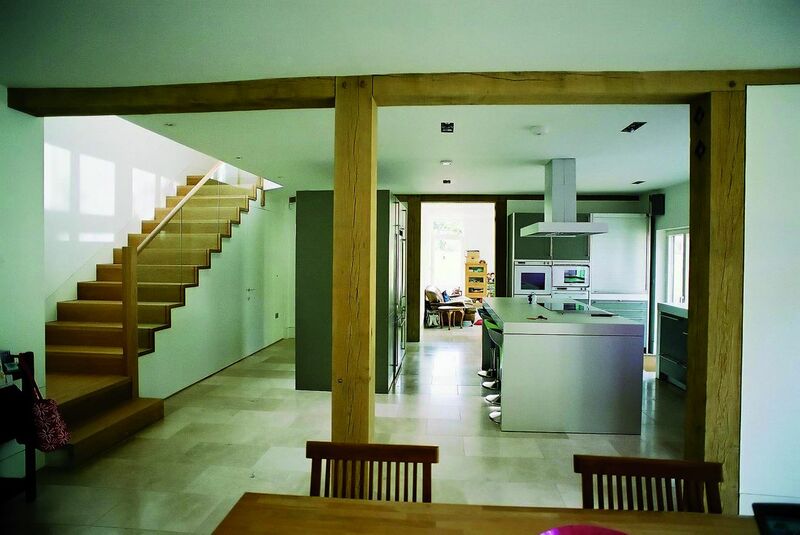 Working closely with the specialist Oak framer (Carpenter Oak & Woodland) the oak frame was carefully designed to allow contemporary interiors without a conventional cruck or braces. Internally the spaces could be subdivided with sliding partitions that enabled the family to open up or subdivide the rooms as necessary. 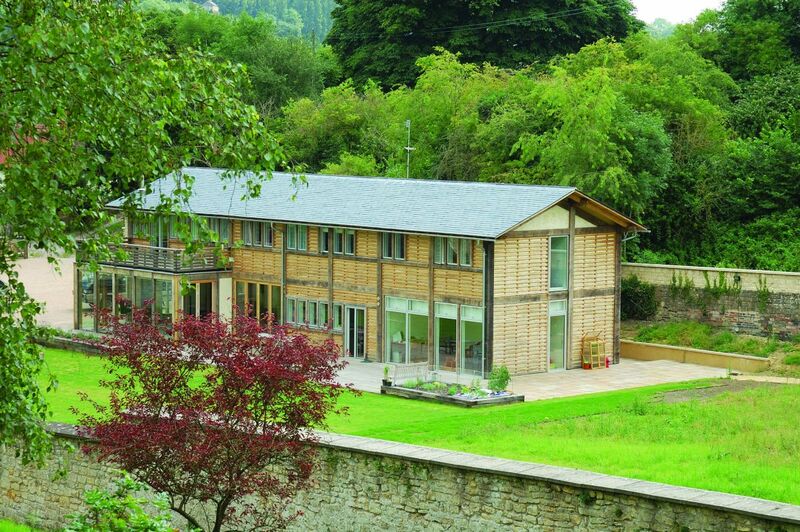 On completion the building was shortlisted for the national Wood Awards. Although a mainly lightweight framed building a heavyweight stone-faced masonry wall and concrete floor slab with stone tiles provide thermal mass to help regulate the internal temperature swings inside the building. Wall construction with intelligent membranes helped regulate moisture movement and allowed the building to ‘breathe’. The landscape around the house has been planted to reinstate a natural orchard and other native species.